Picture credits: Reggie Oliver, Les Edwards, (MM) Smith & (S) Jones, Leonardo da Vinci & ‘Thomas Moreby’, Simon Strantzas, Shuttercock com. THERE IS NOTHING TO FEAR BUT FEAR ITSELF …. AND ZOMBIES! 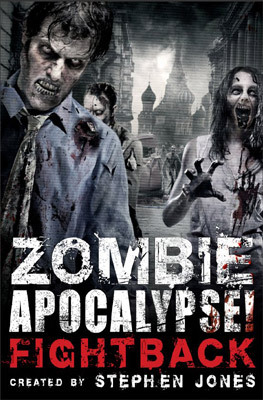 Following the outbreak of Human Reanimation Virus — more commonly known as “The Death”— from a hidden crypt beneath a south London church, the centuries-old plague quickly spreads throughout the world, turning its victims into flesh-eating zombies. As we learn more about the mysterious Thomas Moreby — “Patient Zero”— the surviving members of the human race begin their fightback against the legions of the walking dead, and the Infected themselves begin mutating into something … different. Told through interconnected eyewitness accounts — emails, text messages, reports, diaries, found video footage, and graphic adaptations — the remnants of humanity battle to survive in a world gone mad. From the maker of Paperback Fanatic: coming soon! 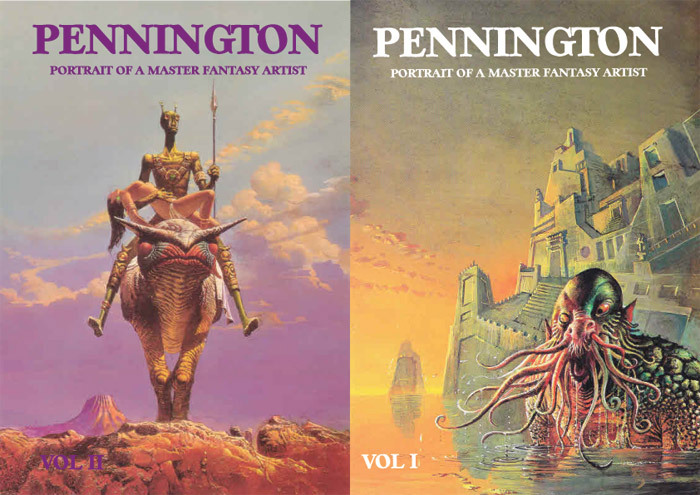 If you’re not familiar with his work, check out the attached covers for a taste! 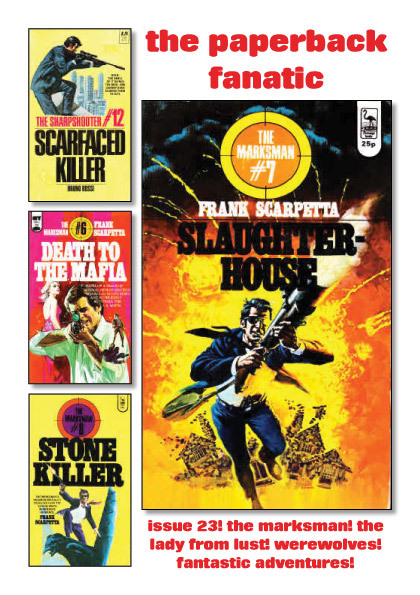 Including an overview of his early career, an auto-biographical essay and a full checklist of his art. Order at the on-line shop now! 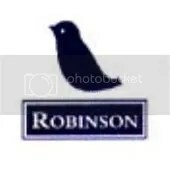 Forthcoming Mammoth publications from Constable-Robinsons. October & November 2012. 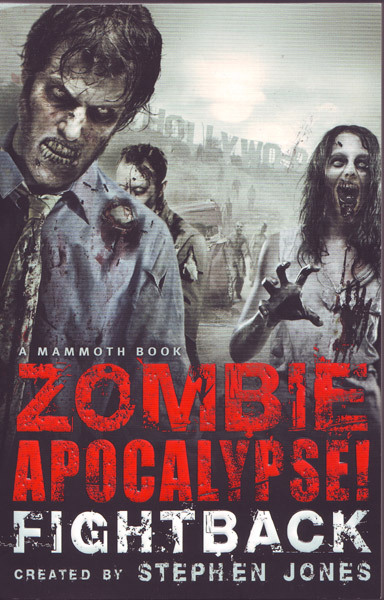 This long-awaited follow-up to Zombie Apocalypse! is once again a ‘mosaic novel’ that weaves together contributions from big-name horror writers in the form of essays, reports, letters, official documents and transcripts to create a coherent and compelling narrative. 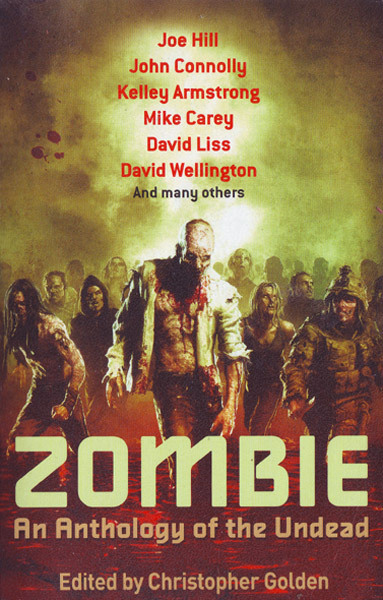 In volume one, old-school, flesh-eating zombies spread ‘The Death’ around the world. Now, the fightback begins, spearheaded by an equally stellar line-up of contributors, from Neil Gaiman, Sarah Pinborough and Michael Marshall Smith to Lisa Tuttle, Roz Kaveney and Christopher Fowler, and master-minded by multi award-winning horror anthologist Stephen Jones. 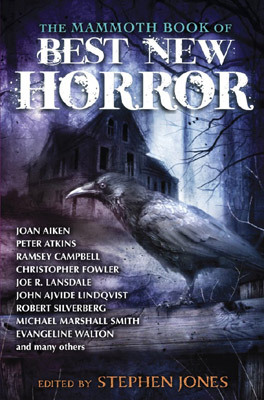 This will be a must-have for the many fans of the first book as well as the ever-expanding legions of zombie and horror fans..
Every single horror writer of note has contributed at some point to the Best New Horror series, compiled by internationally acclaimed horror anthologist Stephen Jones and dedicated to presenting the best in contemporary horror and dark fantasy fiction. This year’s darkest, most exceptional tales of terror showcase new short stories from both contemporary masters of the macabre as well as exceptional newcomers. 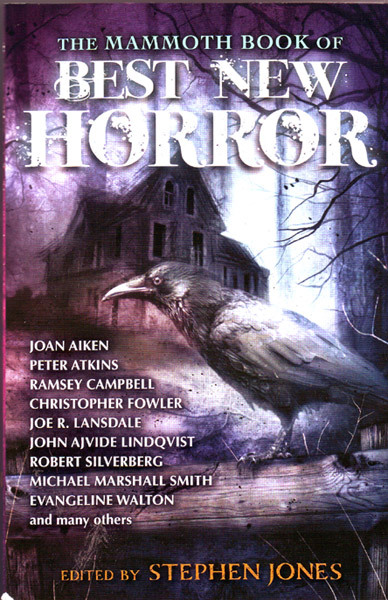 With top-name contributors – such as Joan Aitken, Ramsey Campbell, Christopher Fowler, Joe R. Lansdale, John Ajvide Lindqvist, Robert Silverberg, Michael Marshall Smith and Evangeline Walton – a comprehensive overview of the horror year, a necrology of recently departed luminaries and an exhaustive list of indispensable addresses, this series remains the world’s leading annual horror anthology and the key event in the horror calendar for all horror fans, young and old. A classic gorefest for all horror lovers – the most gloriously gory slasher and splatter horror movies of the past sixty years. 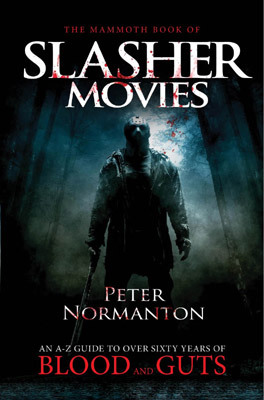 You can scream all you want, but it won’t make them stop in this compendium of more than 60 grisly, gruesome years of slasher and splatter movies – from genre-hopping Danny Boyle’s first horror film, 28 Days Later, to gore-meister Lucio Fulci’s Zombie Flesh Eaters. 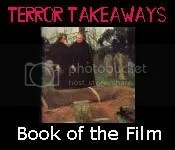 Here you will find the low-down on some 250 movies, with entries from 23 different countries – assembled by born-again slasher fan Peter Normanton. This wonderfully macabre compilation is a definite must-have for all aficionados of the slasher and splatter movie sub-genres and general horror fans alike. The index, which includes every movie mentioned in the A–Z and accompanying notes, runs to 540 movies. 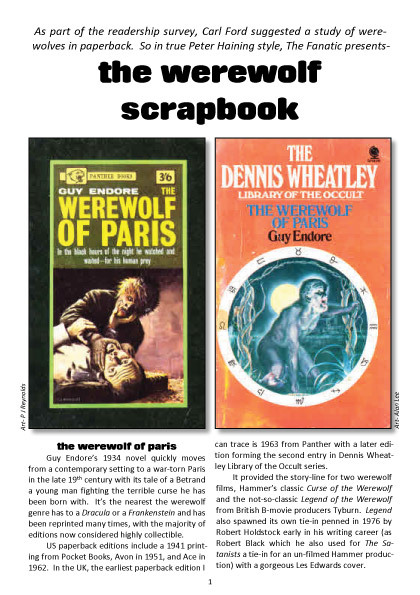 The book includes the full list of video nasties that the UK government has attempted to ban. Ghost stories are a perennial favourite, and British Fantasy Award-nominated horror and dark fantasy writer Marie O’Regan has put together this unforgettable selection of dark, sensational, horrifying stories by acclaimed female writers. 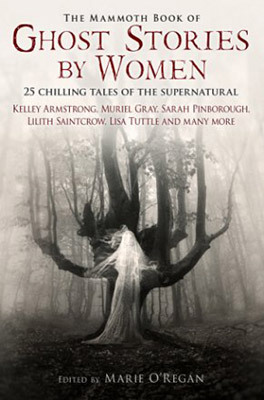 Alongside a handful of reprints, both classic and contemporary, are spectral tales by outstanding talents, such as Kelley Armstrong, Muriel Gray, Nancy Holder, Nancy Kilpatrick, Sarah Langan, Gail Z. Martin, Elizabeth Massie, Yvonne Navarro, Sarah Pinborough, Lilith Saintcrow, Lisa Tuttle among others. This haunting anthology is subtly beguiling, yet brings a new sense of daring to the modern dark tale and a hard-edged twist to traditional horror. Details and, most likely, individual threads on each to follow over coming days/ weeks/ months. Five very exciting prospects, i’m sure you’ll agree. The hungry dead have risen. They shamble down the street. They hide in backyards, car lots, shopping centres. They devour neighbors, dogs and policemen. And they are here to stay. The real question is, what are you going to do about it? How will you survive? How will the world change when the dead begin to rise? Bram Stoker-award-winning author Christopher Golden has assembled an original anthology of zombie stories from an eclectic array of today’s most popular horror, fantasy, thriller and literary writers. Inside are tales about military might in the wake of an outbreak, survival in a wasteland, the ardor of falling in love with a zombie, and a family outing at the circus. Here is a collection of new views on death and resurrection. With stories from Joe Hill, John Connolly, Max Brooks, Kelley Armstrong and many others, this is a wildly diverse and entertaining collection – the Last Word on the undead.